Judging solely by the queues outside no matter the day or time, there’s little contest over Australia Dairy Company being the most crowded cha chaan teng in Hong Kong. You don’t need to look at the menu when you come here, you’ll find everyone else eating the same couple of dishes, and you should too; they are famous for making the best scrambled eggs and steamed milk pudding in town. 47 Parkes St, Jordan, 2730 1356. $60. With a near-replica of the Australia Dairy Company menu, this place serves the Islanders who are too lazy to cross the harbour. Cartons of Hokkaido milk, an essential ingredient for the creamy scrambled egg, are put proudly on display at the kitchen counter, as are signed posters of Cantopop singers on the wall. $70. Kick it old-school with a visit to Cheung Lee, an old and traditional ‘bing sut’. This time-honoured café looks like it hasn’t been redecorated in decades, with its tiled walls and antique cashier machine. All the typical eats are here, but you’ll find most guests chowing down the egg and beef satay toasted sandwiches. $60. They don’t just serve the same old Horlicks and Ovaltines here, they serve these staple drinks as icy milkshakes. No cha chaan teng would ever dream of not having eggs on the menu, and this one is no exception with their extraordinarily thick scrambled egg sandwiches; getting your mouth round one will be a hot mess. If eggs aren’t your thing, try the freshly deep-fried wonton served with sweet chili sauce. $60. 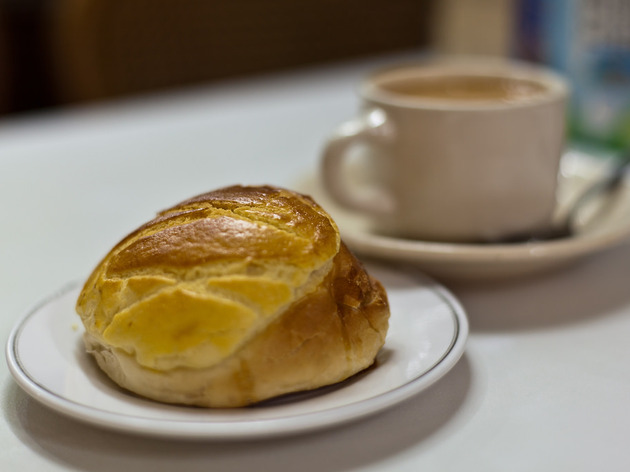 Many are drawn into Kum Wah by the buttery aroma that spills out onto the street, and there is not a time of day when a crowd can’t be spotted outside buying the freshly baked goods. The most popular item on the menu is the pineapple bun served with a slab of butter inside. With its crispy, sugary top, and the fluffy and sweet bread underneath, the bun is so popular that it’s not unusual to have to wait a while for it. $70. 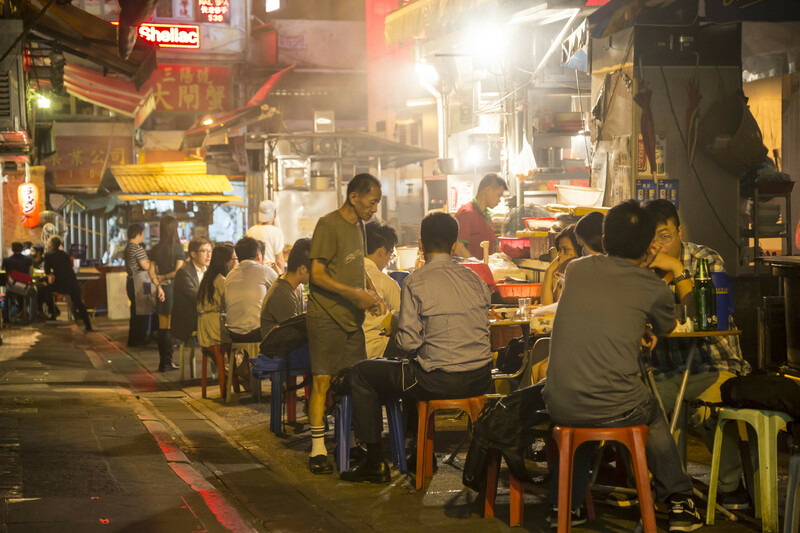 A favourite with Tai Hang locals and visitors alike, Mun Sing has the added bonus of outdoor seating. On top of the usual instant noodles and sandwiches, Mun Sing is also popular as a dinner spot with their signature dish being a mountain of steamed ground pork with salted egg. Other dishes include ‘mouth-watering chicken’ and steamed tofu with scallops. $120. 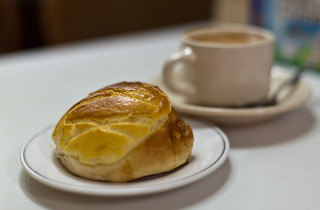 This far-flung cha chaan teng is known for baking one of the best egg tarts in town – rich custard with a buttery, flaky crust that’s browned to the perfect level. Chicken pie and satay beef instant noodles are the other go-to dishes here. $60. If you are looking for something comforting, quick and filling over lunch, this cha chaan teng is the place to go – just make sure you arrive before 1pm to avoid the long queues. A full cha chaan teng menu is on offer, and the kaya (Malaysian coconut jam) toast is a specialty here. $80. Looking for more local treats? 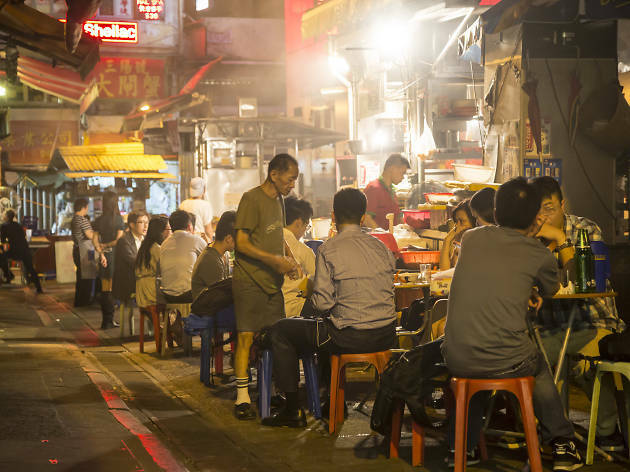 Dai pai dongs used to be synonymous with good cheap eats in Hong Kong, but the no frills eateries have been an increasingly rare sight on our streets in recent years. Given that the Food and Environmental Hygiene Department is not renewing any dai pai dong licenses, it’s a decline that seems destined to continue. But grandfather laws are keeping them alive, and as long as this generation is passing down their licence to the next we’ll still be able to enjoy a slice of old Hong Kong. So in support of good and cheap eating, we’ve compiled this list of the best of the city’s remaining dai pai dongs. We’ve loosely used Singapore’s model for rating hawker stalls, assessing hygiene, quality of food and service, as well as atmosphere.